This morning I received one of those disappointing emails, one that I had been wanting an answer to for quite a while. And as I was sitting in a bit of a slump, the winter sun burst through the window bathing the kitchen in a summer glow. It was only brief, just long enough to think, ‘how lovely’, and then the moment was gone, the sun withdrew behind the grey clouds. I thought of the concept of yin and yang – how even in the depths of yin there is still a hint of yang, that it’s all a cycle, that the seasons change and one will turn into the other. 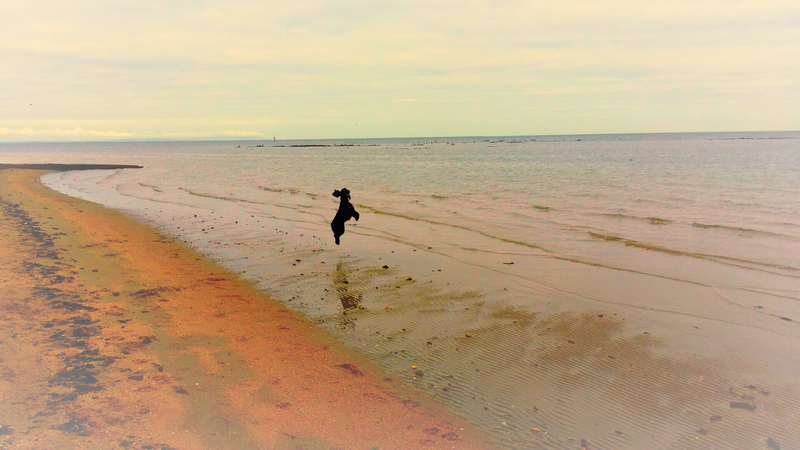 So while I wait for the season to change I will be like my dog, Hero and dance on water when I can. I love that it has lots of words describing day. I would love to keep reading if it was a book.